Lying on the south-eastern coast of China is the multi-cultural Fujian Province. In ancient times there were many ethnic groups living in the region like the Min, She, Hui, Han, Putian, Man, Hakka, and others. Even today, the population of 37 million is made up of Chinese as well as migrants from Taiwan, Philippines, Indonesia, and Malaysia having diverse dialects and traditions. It has been a prosperous region even in the ancient times and has the distinction of being the first Chinese region that Marco Polo visited. The topography of the Fujian Province consists of tall mountains in the north and the South China Sea, East China Sea, and Taiwan Straits on the other three sides. Hence, it is a wonderful blend of picturesque peaks, dense forests, and spectacular islands. 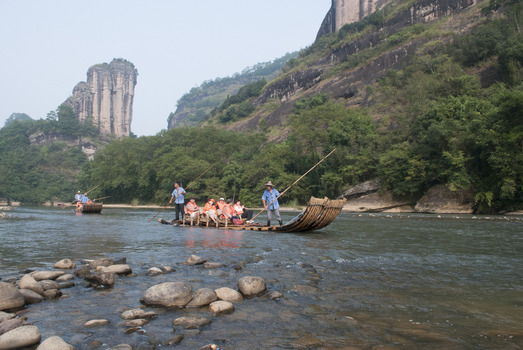 Mount Huanggang of the Wuyi range dominates the skies with its altitude of 2,157 meters above sea level. The Min River flows down the slopes into the central regions along with its tributaries, making the landscape a riot of color and greenery along its path. Due to the rugged mountains, there are countless waterfalls that beautify the region. Besides the various bays along its vast coastline, there are many islands that are part of the Fujian Province. They are the Quemoy, Haitan, Nanri, and Meizhou Islands. The most famous one is the Meizhou Island which has the Temple of Goddess Matzu (Mazu) whom Chinese sailors revere. Fujian Province enjoys a subtropical climate made up of warm summers and mild winters. The temperatures are moderate, ranging between 6oC and 10oC depending on the season and topography. The region has very heavy rainfall in the summer and sometimes even typhoons from the Pacific Ocean. The winter season is the best time to visit the Province. Fuzhou is the capital of Fujian Province and is a properly structured urban area. Today, Fuzhou is the business and administrative hub of the Province, even though in the ancient times, the city of Xiamen was more well-known. The port city of Xiamen still has a predominantly maritime culture, with a functional port, pubs, seafood fast-food outlets, etc. There are also numerous 19th-century houses built by the Germans, Spaniards, French, and the Japanese during the Silk Route days. Quanzhou on the eastern coast has also been a very busy port city. Lying on the Silk Route, it was the port from where Chinese silk was exported to the Persia and Arabia. Lying on the mainland but facing the Taiwan Straits is the charming city of Zhangzhou. It has the famous Tenfu Tea College which is now known as the Zhangzhou College of Science and Technology. It is the first privately run vocational college that offers undergrad, graduate, and management courses that are related specifically to the tea industry. 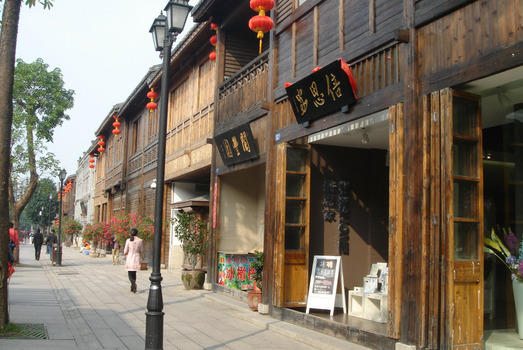 The most unique historical and cultural features of the Fujian Province are the large Hakka houses or Fujian Tulous. These multi-storied earthquake-proof structures are like walled cities in themselves, where the rooms are connected internally. Each tulou can accommodate an entire ethnic clan of more than 500 members. Fujian is the birthplace of many varieties of tea including, the Lapsang Souchong, Oolong, Wuyi Yancha, and the famous Fuzhou Jasmine Tea. The Province is also well-known for its traditional teahouses and their elaborate tea ceremonies. The Fujian people are very artistic. The bodiless lacquer statues made in Fuzhou and the stone carvings made in Shoushan make excellent souvenirs. Dramatics is also a passion in the region. The Min Opera (Fuzhou Drama) is a 300-year-old art form and has sustained its popularity over the centuries. Major expressways connect the cities of Fuzhou and Zhangzhou to other cities and towns in the Fujian Province. There is a well-maintained network of roads as well as railway lines that ensure that all the districts are easily accessible. Besides the Fuzhou Changle International Airport and Xiamen Gaoqi International Airport, there are 7 more airports in the Province. They serve 145 airlines and have connections to most of the major cities in China, East Asia, Southeast Asia, and other parts of the world. 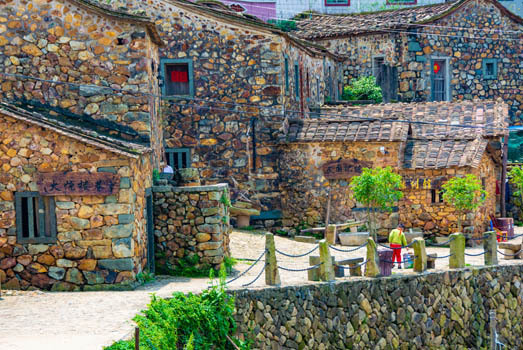 Seeing the Hakka Earth Houses (tulou) is a major tourist attraction in the Province, especially since the Fujian tulous have been declared UNESCO World Heritage Sites. The usual circuit includes the largest ones, namely the Yongding Tulou, Nanjing Tulou, Hua’an Tulou, and the Gaobei Tulou. Another UNESCO Heritage Site is the Huanggang Shan (peak) Scenic Area. With its rugged slopes, unusual rock formations, dense forests, countless water bodies, flowers, fauna, and caves, the scenic area is a very popular and perennial tourist spot. 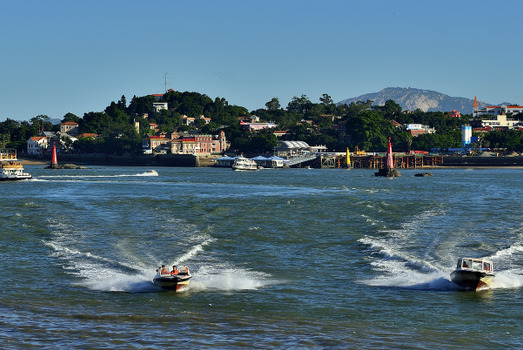 Off the coast from Xiamen Port City is another UNESCO Heritage Site and a must-see tourist spot. It is the Gulangyu Island which is a pedestrian-only attraction. Tourists can avail of the battery-operated buggies to explore the island. This is an unusual island with a large colony of grand Western-style mansions built during the Silk Route days. 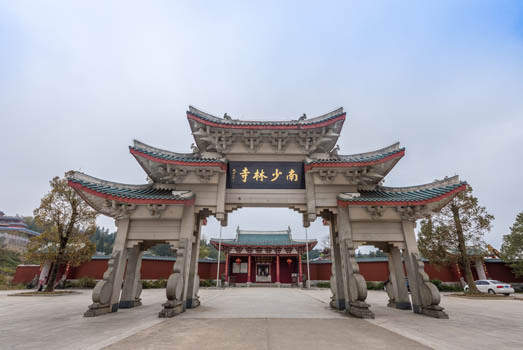 Other places of interest include the Nanshan Buddhist Temple near Zhangzhou, Matsu (Mazu) Temple on Meizhou Island, Yongquan Buddhist Temple in Fuzhou, and Guanghua Temple in Putian. Having a coastline on three sides, the Fujian cuisine is naturally focused on seafood. The style of cooking is a mix of traditional Fuzhou and Min cuisines. Whether it is a soup, a main course, or a snack, their dishes are usually elaborate and are made with a unique mix of ingredients. The most famous local specialty is the Fotiaoqiang, which literally translates as “Buddha jumping over the wall!” This dish is made with abalone, shark fin and sea cucumber and the sauce is made with the Shaoxing rice wine.